Imagine the rocky lowlands of East Africa. 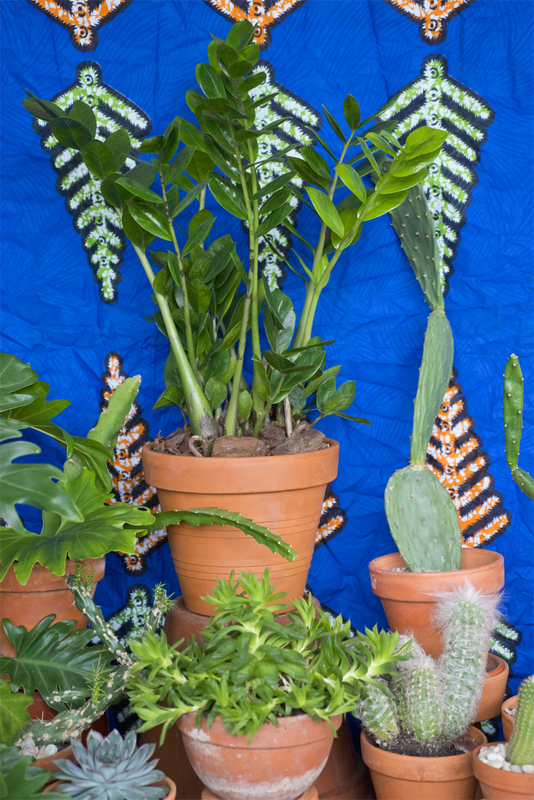 Think of the wide horizons in Kenya, Zimbabwe or the dreamy island of Zanzibar – one of the local botanical beauties you will see there might be right now next to you at your home as a houseplant: the sturdy Zamioculcas zamiifolia also known as ZZ plant. 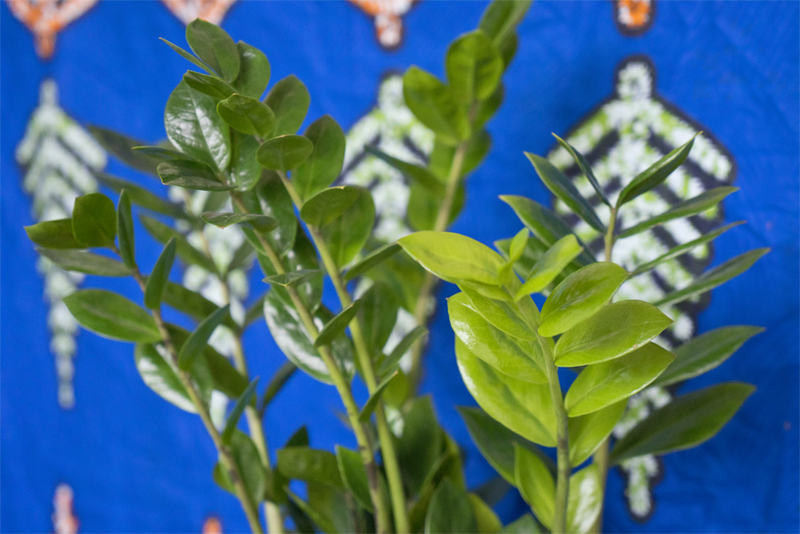 This plant is strong, vibrantly green and features a remarkably regular leaves pattern and invites the lush and lively African vibe into our homes. 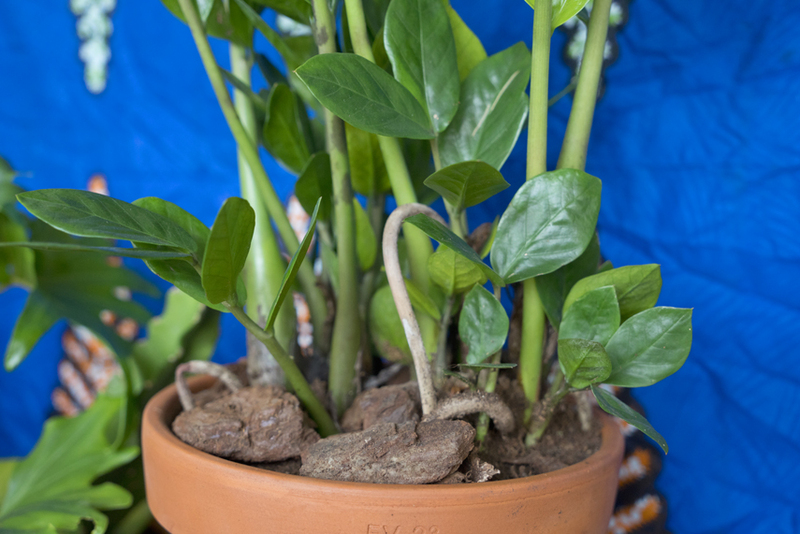 The Zamioculcas plant is a tough guy: It is super sturdy and forgiving thus perfect for plant beginners or globetrotting fellows with limited time for plant care. 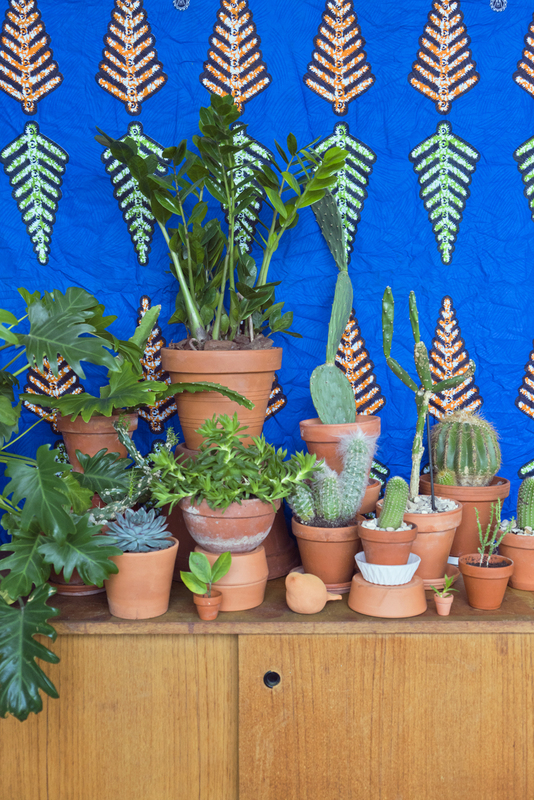 The magic formula is nature made: The plant stores nutrients and water in the stems and the subterranean bulb thus it can survive even if you forget to water it from time to time and it perfectly copes with bright and shady spots in the home. As an African native it only dislikes two things: cold temperatures and constantly wet roots. 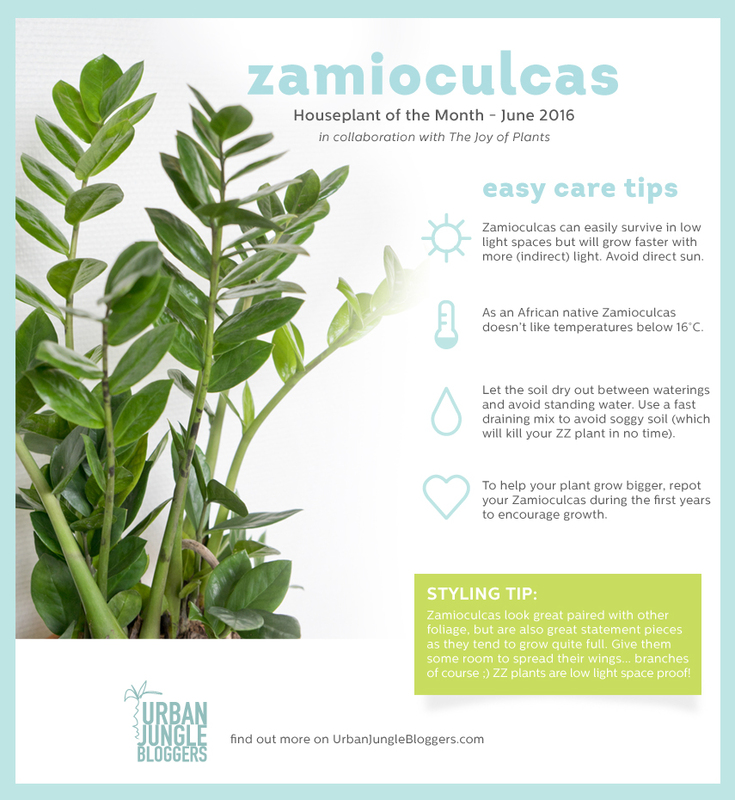 The Zamioculcas is not only a great plant of choice for those who want to minimize their plant care effort. With its geometrical look and its juicy green color it is a perfect visual addition to any modern home. 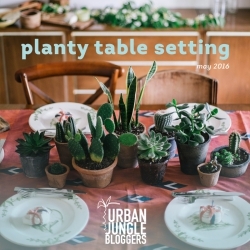 It is a great solo player with its long stems and regular foliage so it makes a perfect performance placed individually on a shelf or on a stool – plus it will have space to thrive and spread out its long stems. 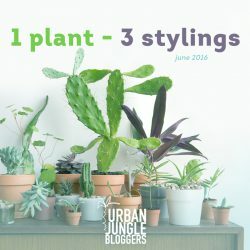 But the cool ZZ plant is equally easy as a plant gang member: it likes to mingle with green fellows and adds a certain visual regularity to the ensemble with its stems and leaves that resemble stylized feathers. Another styling idea: Combine it with an African patterns for the über-cool look recalling its native habitat.